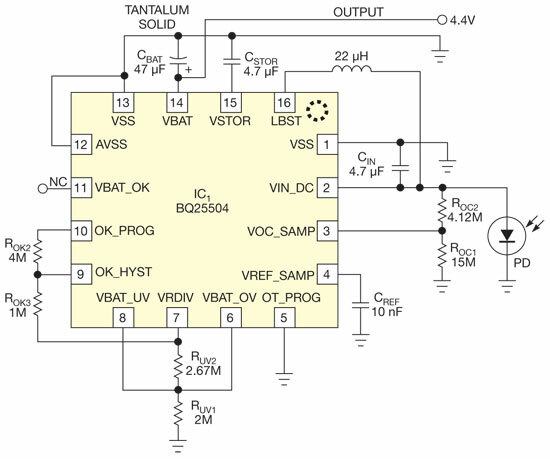 The bq25504 from Texas Instruments is a good candidate to become a milestone on the road to micro-power management and energy harvesting. A prominent feature of this IC is its ability to start up at a supply voltage as low as 330 mV typically, and 450 mV guaranteed. With an SMD inductor and a few capacitors and resistors, it forms a dc-dc converter with a high power efficiency that is unprecedented, especially in the ultra low-power region.